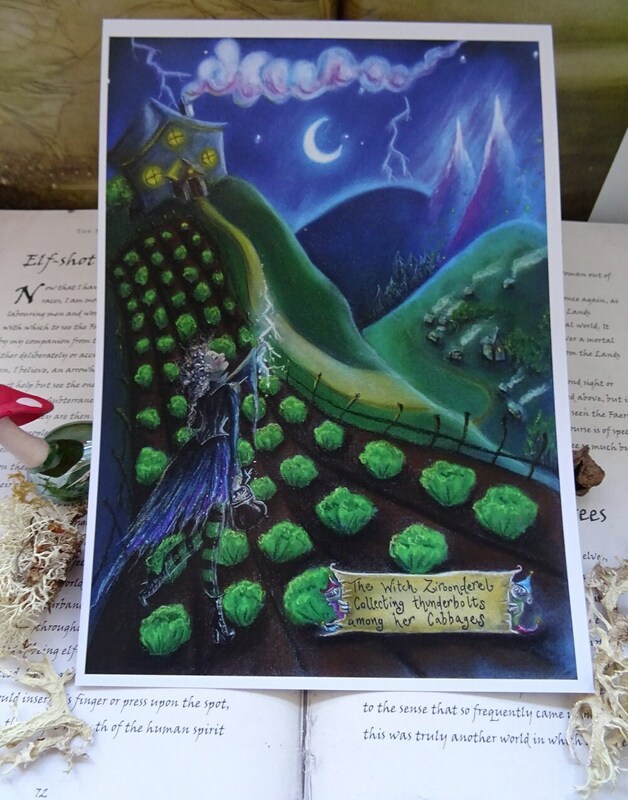 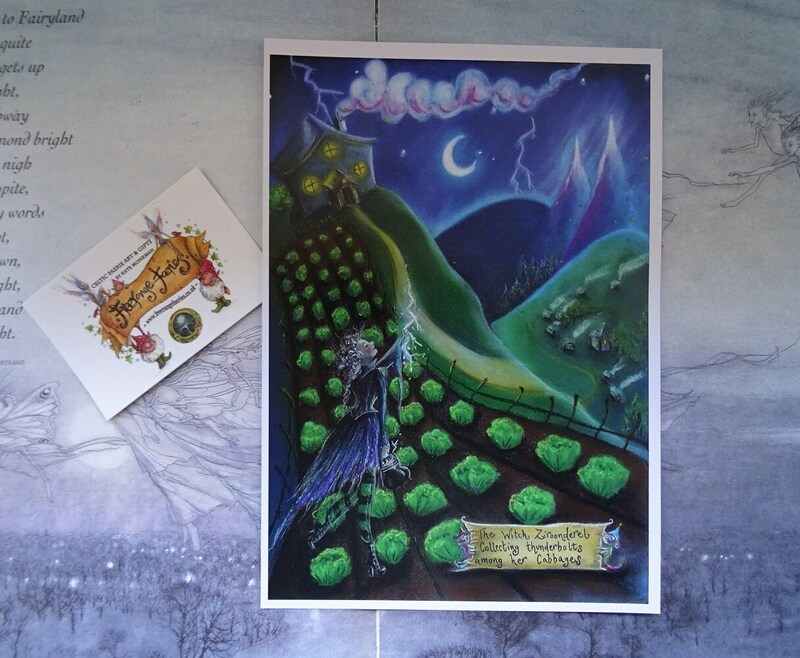 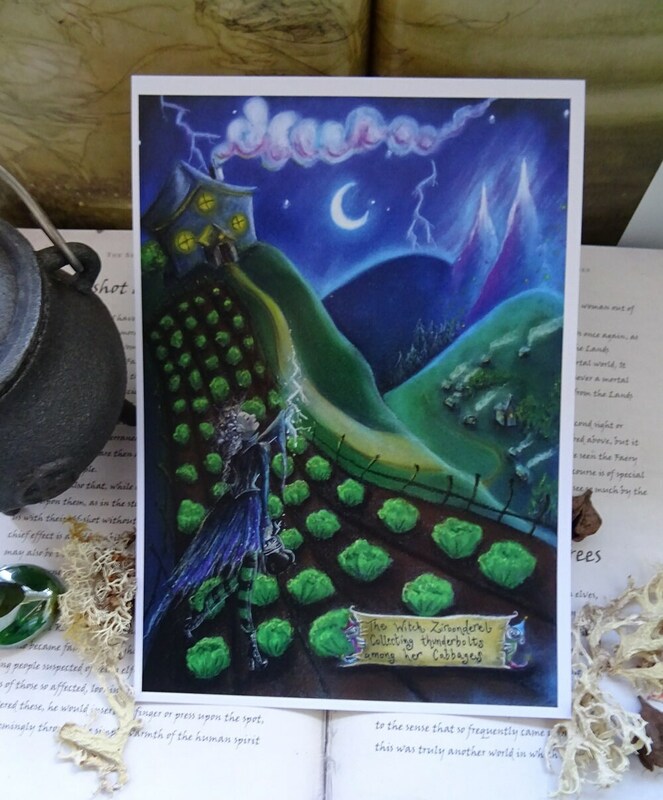 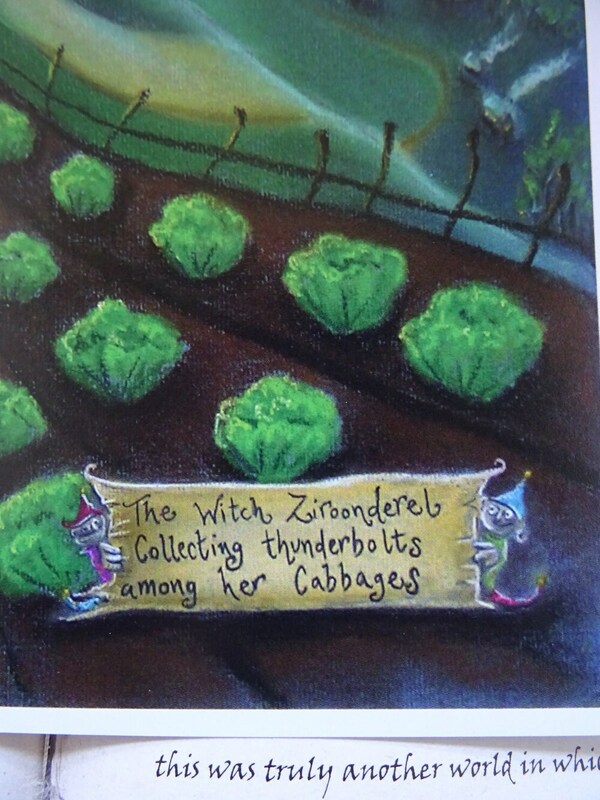 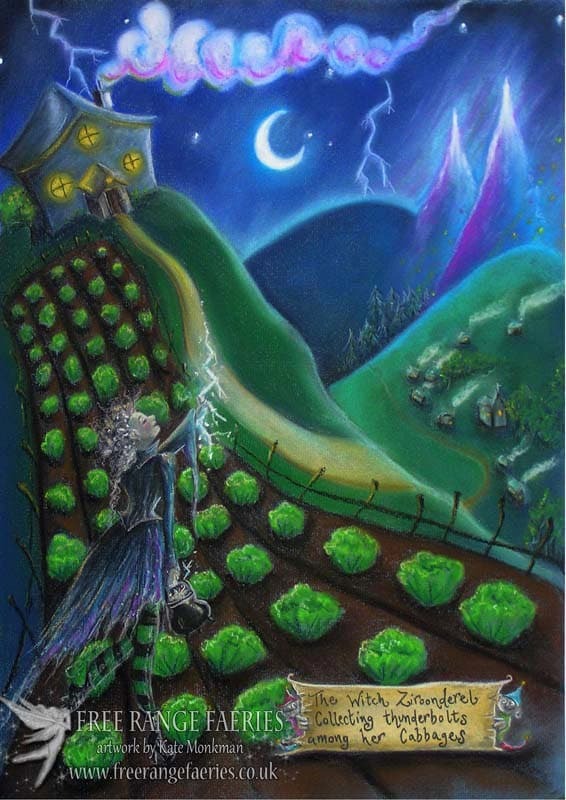 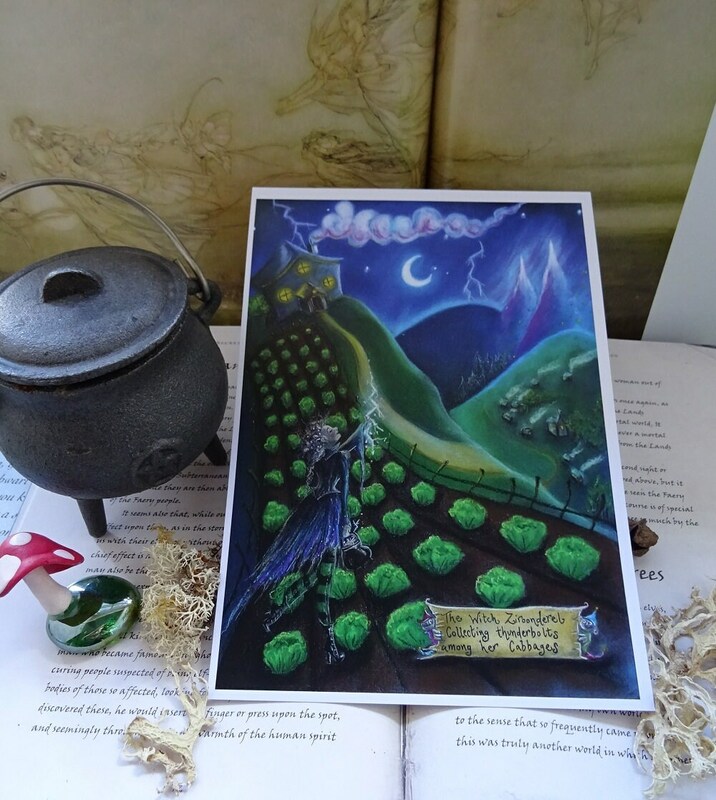 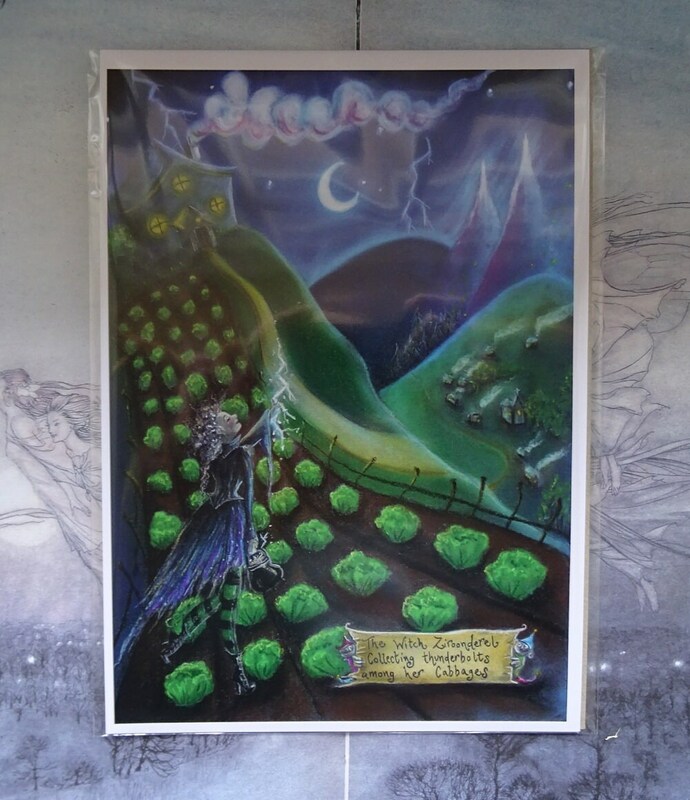 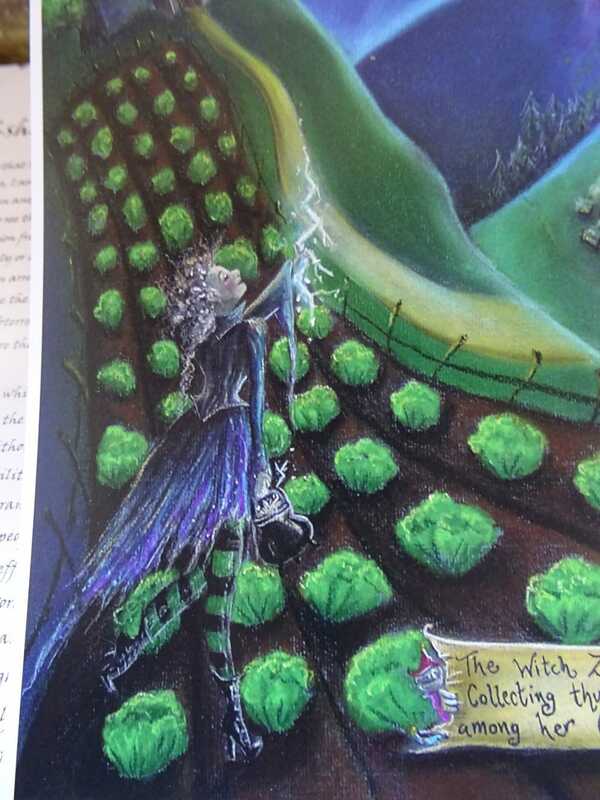 I took direct inspiration for this artwork from the book 'The king of Elflands Daughter' by Lord Dunstany, It's quite a dark fairy-tale and I loved the descriptions of the Witch Ziroonderel collecting thunderbolts among her cabbages! 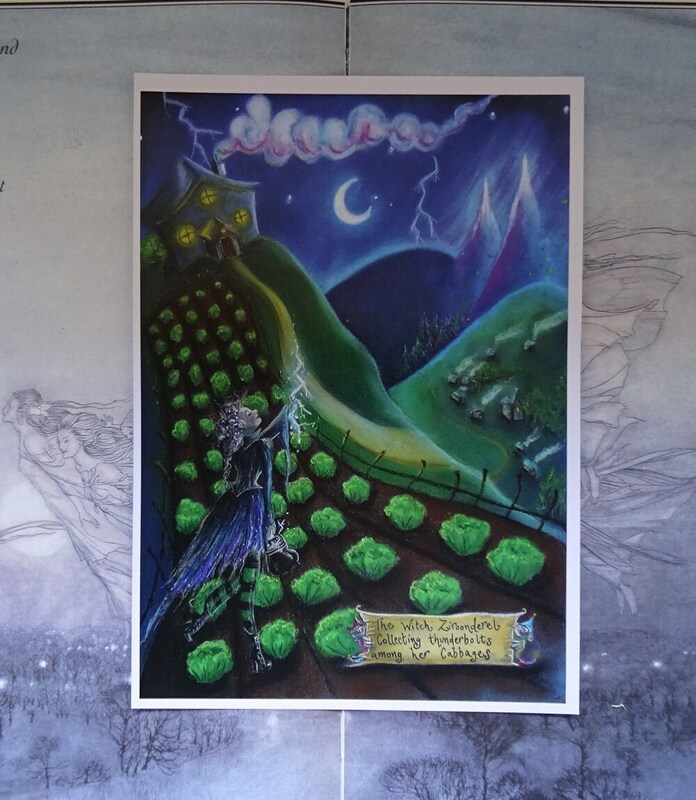 it inspired me was to create this artwork, the hills in the background are the peaks of Elfland. 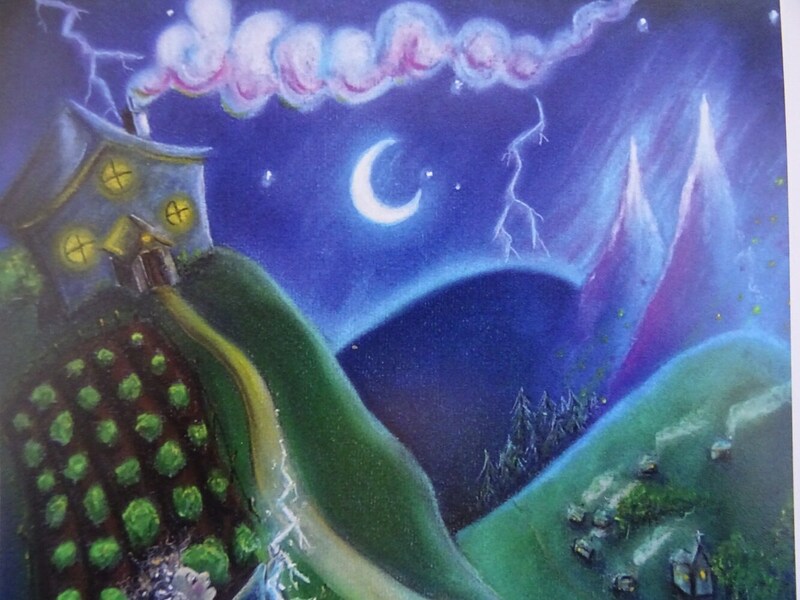 I used chalk pastel to get the intense colours.